Old Town Alexandria Northern Virginia – When you come in to Dash’s of Old Town, you will see an large selection of off the rack suiting. These suits are custom made just for the store, with fabric and sizing direction under Victor Dash. Yes, you will see your standard blues, blacks, grays, and tans. But you will also see suits made with unique and exclusive swatches. A look closer, you’ll see violet threading in a gray suit, or that pinstripe is actually roped. Lapels are just right for the season. Now a look further, you’ll see Italian sizing. Do not be intimidated if you see smaller numbers. All you have to do is add +10 and just like that, it is now US sizing. A 32 is a 42, a 40 is a 50, and so on. Next to that number is another number. It could be 0, 3, 4, 5, 6, 7, 8. Now what does that mean?! This is the Italian suiting system. This is called the drop size. This relates ONLY to the jacket fit. American/US suiting also uses the term “drop size,” but that is in relation to the jacket and the matching trousers. For Italian suiting, 0 is your largest and most spacious fit. 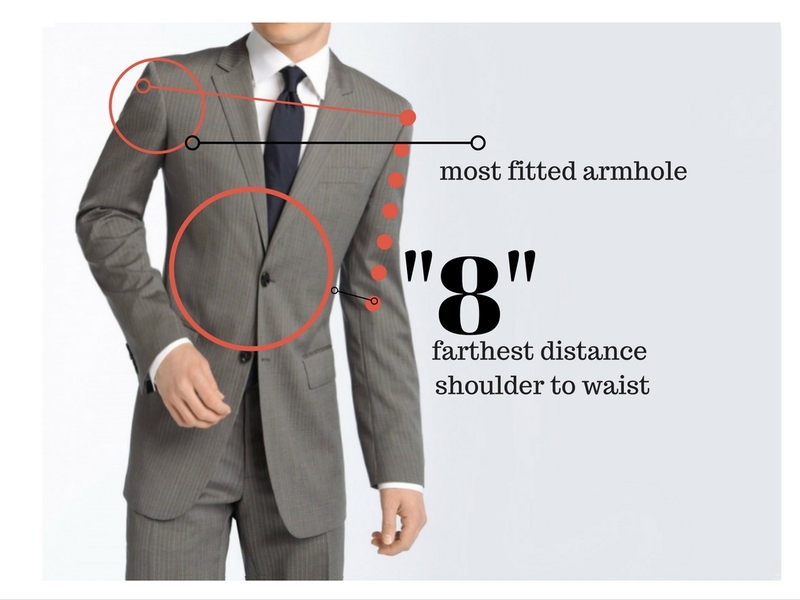 Your jacket will have large armholes and the overall waist of the jacket will be proportionally larger. 6,7, and 8 will be your most fitted. Trim armholes, and a v-shaped waist will accentuate your frame. If you go to a nice department store, their off the rack suiting will probably be around a comparable 4 and 5. You see, in a department store, they want you to feel comfortable putting on and taking off the jacket. That is what they are selling, not the fit.